After Privacy Screens Part 1, the second half of the privacy screens/pole hider/dog agility course project was to beautify these random posts and wire with climbing vines. 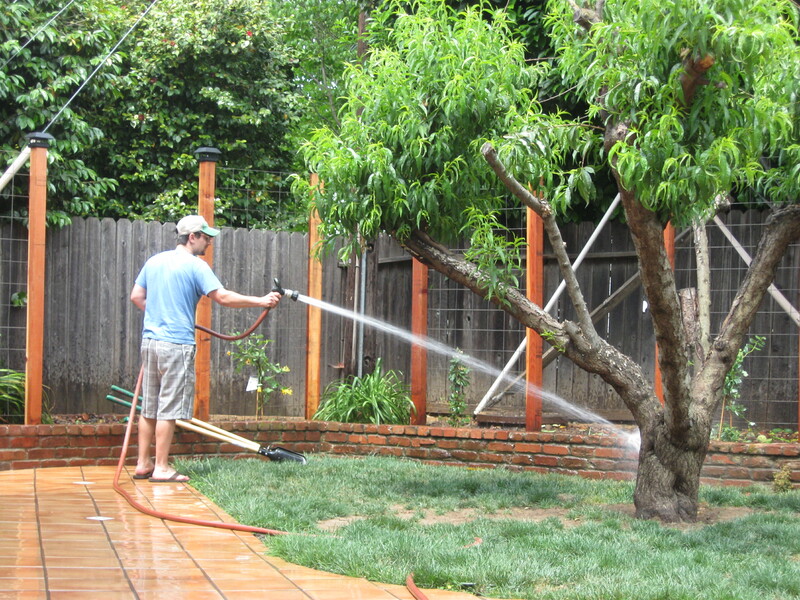 Vines that would add lushness and color to the back of the garden, and also hide dog messes. The only obstacle was that we needed vines hardy enough to withstand Sutter (oh yes, the marking already started) and the Sacramento summer heat (it reached 106 last weekend). 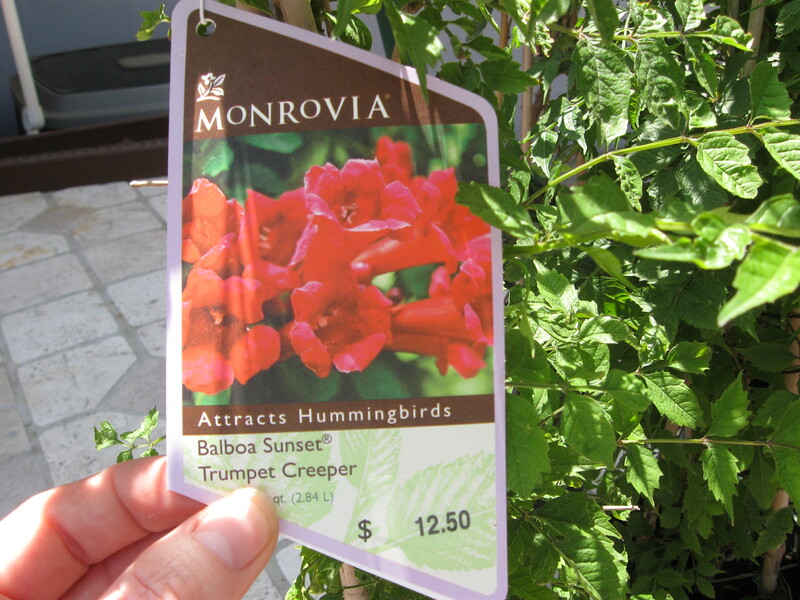 We already had great success with trumpet vine at our last house. We also knew our dogs never touched the stuff. (they preferred tearing up the lavender and flax) Luckily for us we experienced the puppy stages in our old home with non-toxic plants. The plant is fairly lush throughout the year except in the winter. Also the orange flowers were so tropical we hope to fake a Hawaiian paradise in Sacramento. Green Acres nursery in Sacramento is one of our favorites for the non-generic plant varietals not found normally in big box stores. Plus they have fabulous landscaping displays where we can get inspiration and help. 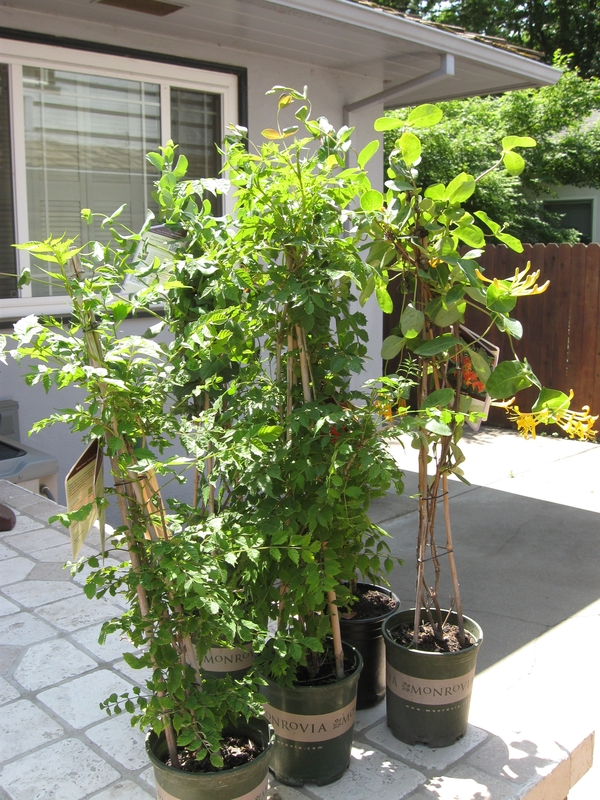 We settled on actually three different honey suckle varieties along with the trumpet vine. 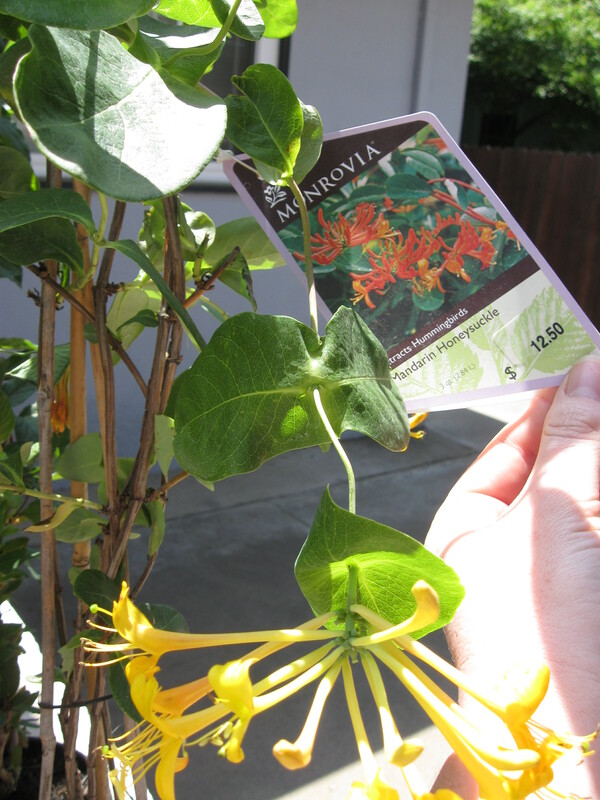 Also if you are considering planting a vine and have a plant eating puppy around, Honeysuckle may be the way to go. 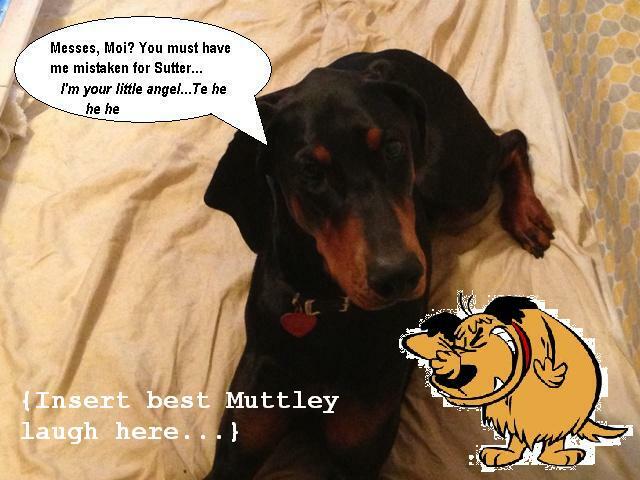 According to the ASPCA Plant list it was considered non-toxic. However you know your dog best, so maybe living with a backyard desert for a few years til they grow up is the way to go. 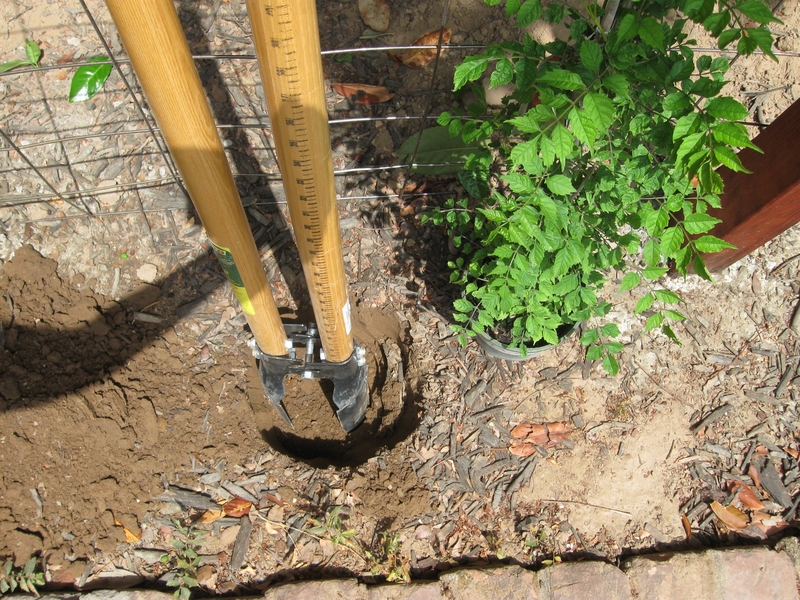 Next we used the post hole digger again (the fastest way to dig holes for plants.) Centering the vine in front of each wire screen. You don’t need more than one vine since they will gradually grow in nice and thick. 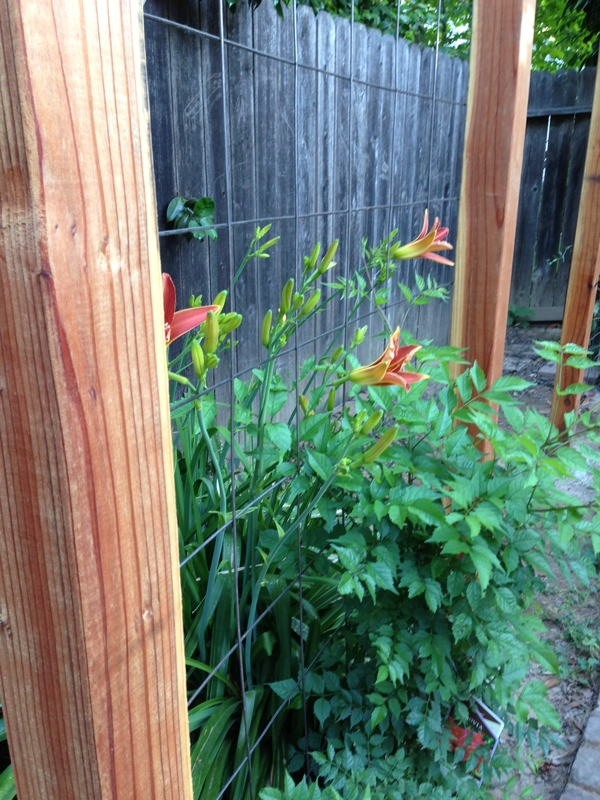 Here’s a nice after shot of our little ones growing away…The lillies wanted in on the picture action. We promise to post pictures along the way as we continue to “dogscape” the backyard. This entry was posted in Dogscape Design and tagged ASPCA poisonous plant list, ASPCA toxic plant list, Dog, Gardens, Green Acres Nursery, Home and Garden, Honeysuckle, How to build privacy screens, Plant, privacy screen ideas, Privacy screens, Trumpet vine, Vine by Tandra. Bookmark the permalink.